James D Hagood Hwy Clover, VA. | MLS# 40413 | PALMER PROPERTIES OF VIRGINIA LLC (434)575-2417 - We specialize in RESIDENTIAL, FARMS, BUILDING LOTS, ACREAGE AND COMMERCIAL properties in SOUTH BOSTON/HALIFAX COUNTY, CLARKSVILLE/MECKLENBURG COUNTY, DANVILLE AND SURROUNDING AREAS. Very nice land with road frontage, a small creek and timber. 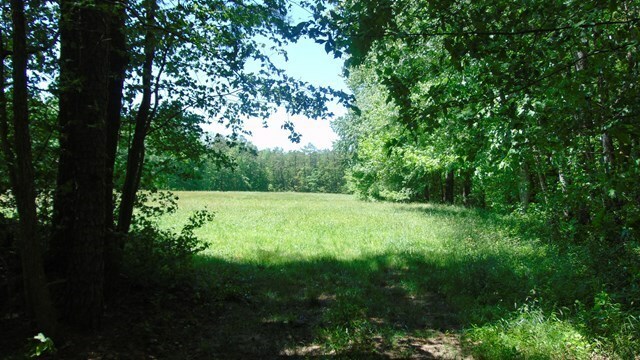 Property has 15-17 acres of mature hardwoods on the property with a large open hay field and one log barn.